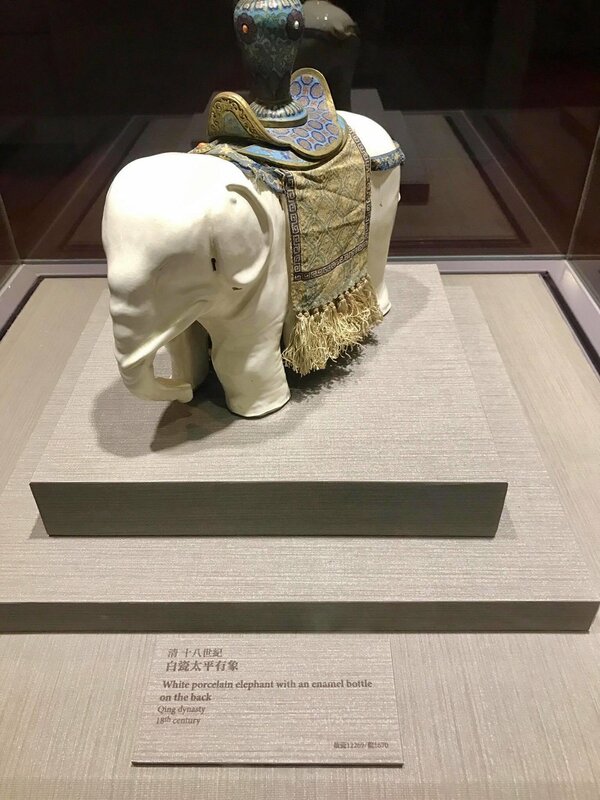 My first time in Taiwan was spent during a period of three days in Taipei. It was, as per many (most) of my travels, filled with eating. 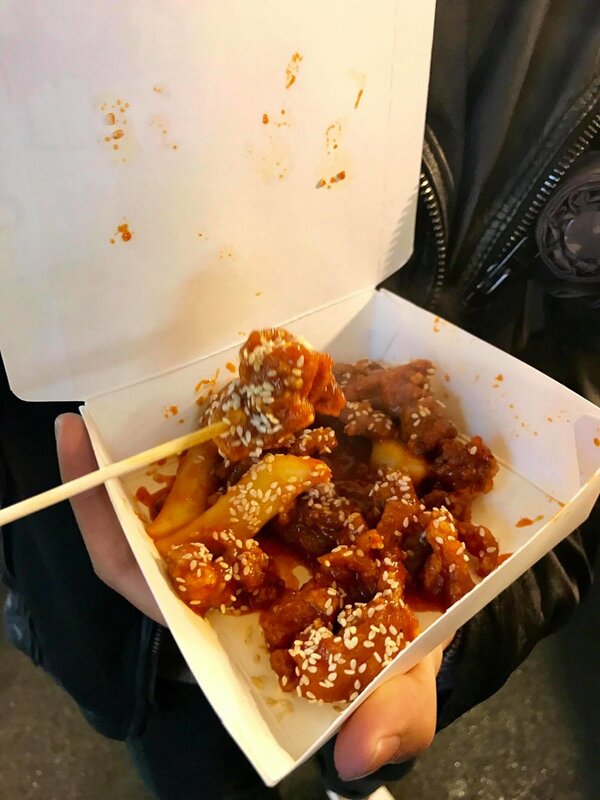 Though to be fair, Taipei is well-known for its night-markets, the primary objective of which is to discover various eats at a multitude of booths that stretch hundreds of feet in either direction. More on that later! My night arrival to Taipei turned into a quick walk around the area of the city I was staying at, Xinyi. 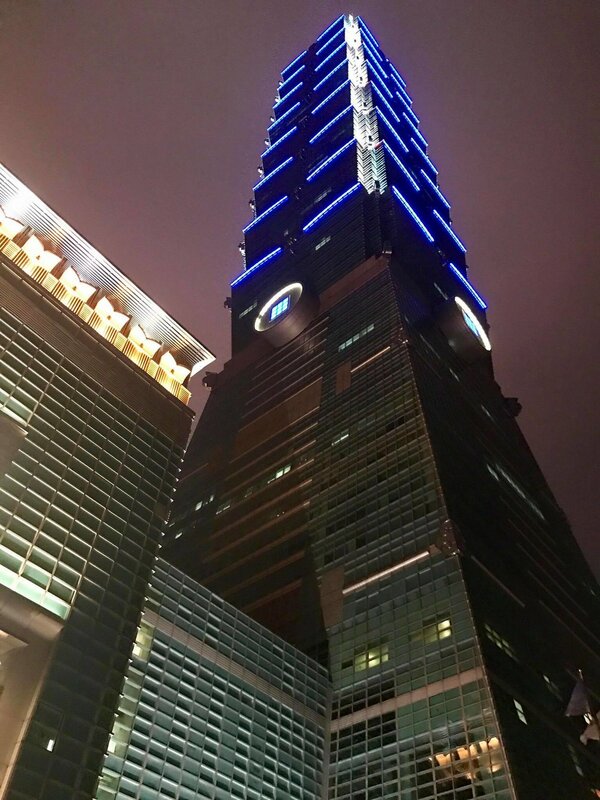 The area is central to the metropolis, and features its landmark Taipei 101 as well as many malls and shopping areas. Dinner at DinTaiFung, at the city where it originated in. Come early if you don't want to wait in an hour plus long line! Day Two begun with a trip to YongKang Rd. Breakfast was beef noodles, at this famed local eatery that's been in the business since 1963. Served with the option of half tendon and half beef flank, or either one, I chose the all tendon option for the succulent texture. The store also offers upon steamed intestine and glutinous rice, and ribs and gluntinous rice. Breakfast part II took place a short walk away, in the form of grilled scallion pancakes. In case you were wondering, our itinerary was indeed largely driven by the philosophy of: stop and eat where there are lines. The fluffy texture balances out the crispy exterior perfectly. Add egg and ham (right) for a heavier snack. We end the night with more food (as per usual), making a first stop at one of the city's famed nightmarkets. We chose Raohe Nightmarket because the cab driver recommended it, citing that it was less crowded than the more famous Shilin Nightmarket, though the latter is more frequented by tourists. Taiwanese sausage wrapped in glutinous rice, or more colloquially known, "a larger sausage wrapped around a smaller one," a mouthful, I know. 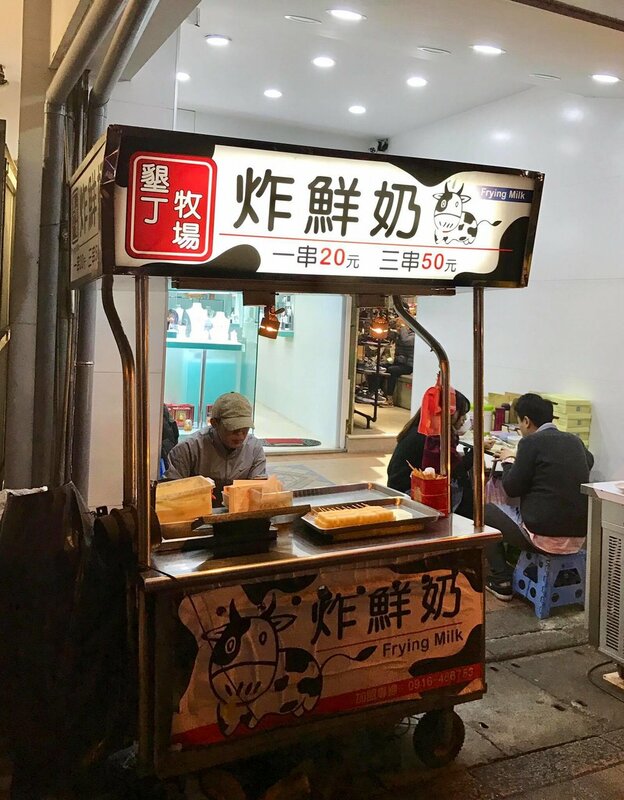 However, it definitely is hands down my favorite nightmarket snack in Taiwan. A must try. Boiled squid, tastes better than it sounds! More squid! Grilled this time, and apparently from the...deep sea? Fried chicken, in spicy sauce (right) paired with sugar cane juice for a sweet kick. Taro milk, the main ingredient of which can be found in many snacks in Taiwan. Try it fried, steamed, or in this case, blended. 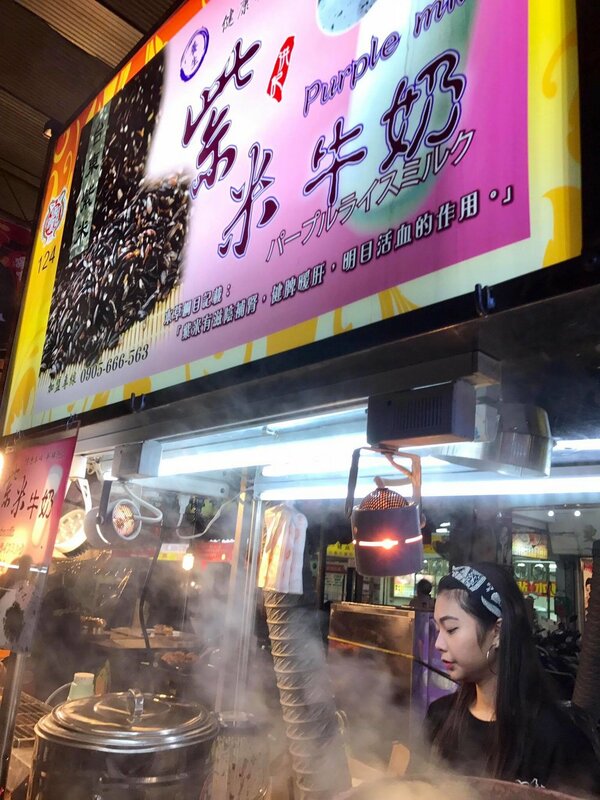 Pepper pancakes, at the end of the walkway in this nightmarket, drawing plenty of crowds with its savory goodness and flaky crust. Our third morning started with a journey to the top of Taipei 101. To avoid the observatory, we had a meal at the observatory restaurant instead. Fog and rain ensured we didn't get to see much, unfortunately. Our efforts were rewarded with clearer skies and a view of the Taipei skyline. There is even a booth at the peak for a quick pit-stop, or a photo-op. As the night began to fall, we wandering to the Ximending, the pedestrian shopping area of Taipei. At the recommendation of a local, we were advised to try Yangtao, or Starfruit Ice at a local outlet that's been serving the sweet/sour concoction since 1966. Pineapple ice on the left, starfruit on the right. I recommend the namesake ice on the left because of its sour notes. Both bowls feature chunks of the marinated fruit in addition to ice. A simple delight. Our last stop in Taipei, another nightmarket, naturally. We stopped at nearby NingXia nightmarket, and of course, ate too much. Arguably the most famous stall in the market, Aunty's Rice-balls always has a line, and with just one aunty making 'em, you'd better settle down for the long haul when getting in this queue. 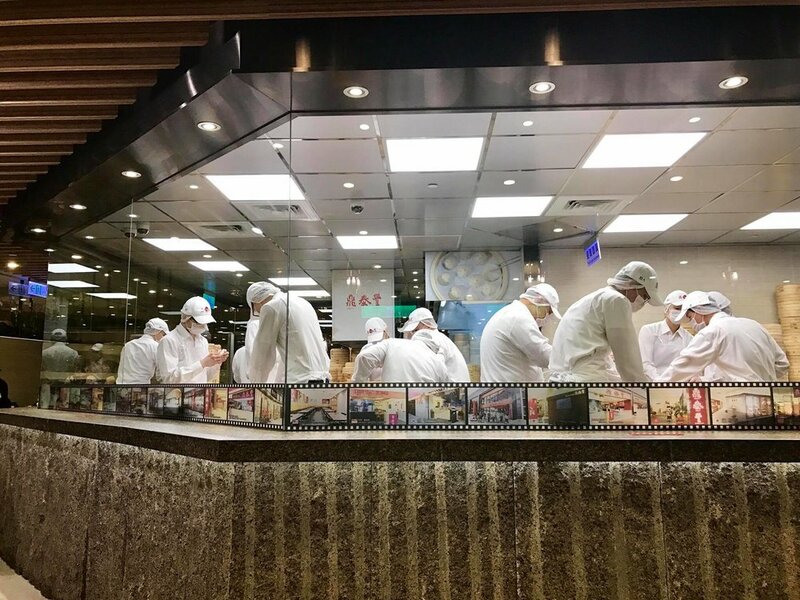 The rice-balls are completely handmade, and once you finally approach the front of the line, you can watch it being put together with lightening efficiency. Inside, its stuffed with dried fried dough stick, pork bits, salted cabbage. A must have in Taiwan, braised-pork rice is famously served in this franchised outlet, known as Bearded Zhang. Yum. Individual pots are served here, where the pots are prepared outside and brought in with the ingredients fully cooked. Glutinous purple rice milk, featuring the two namesake ingredients blended with sugar - actually delicious. Finally, I end my (mostly edible) journey into Taipei with another taro treat. This time, fried.